Get your FREE Sample issue of Scottish Field today! 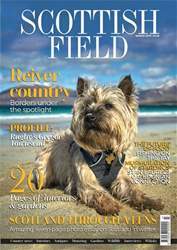 (1 Customer Reviews) | Write Review 12 issues per year With a proud heritage spanning 112 year, Scottish Field Magazine is Scotland's most popular luxury lifestyle magazine. Offering fantastic up-to-date lifestyle editorial on a wonderful variety of subjects including country news, interiors, gardens, food and drink, property, antiques, travel, fashion and heritage, Scottish Field has something to offer everyone. 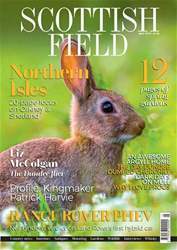 This digital edition of Scottish Field brings the high quality editorial that readers are used to, into a simple and easy to follow format. 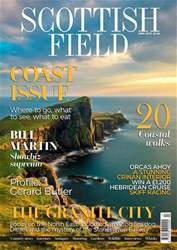 Covering the length and breadth of Scotland, Scottish Field features an area monthly bringing the best of Scotland to you. Looking for Scottish Field in print? Unfortunately pocketmags.com does not sell print copies of Scottish Field, but all is not lost. Our partner at magazine.co.uk sells print subscriptions at the best prices online. With a proud heritage spanning 112 year, Scottish Field Magazine is Scotland's most popular luxury lifestyle magazine. You'll receive 12 issues during a 1 year Scottish Field magazine subscription. Great Find Scottish Outdoor Livestyle Mag an interest mag for those who love Scotland and the great Scottish countryside. 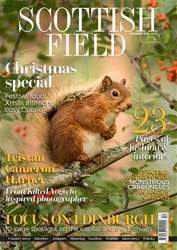 You'll receive 12 issues during a 1 year Scottish Field magazine print subscription.